I visited Braxton County for Christmas, and ended up doing more than just riding while down there. First off, what’s up with the weather? All week, it’s been in the 40’s and 50’s, when last year, we had 18 inches of snow! Well, in Braxton, there’s not a speck of snow, unless you count the morning frost on the grass and your car’s windshield. This weather just invites you to go out and do something, anything that makes you appreciate and thankful that it isn’t snowing. First day, the girlfriend and I went on a dirty-road ride to some general store-esque shop that provides goods for the local residents, since the closest Kroger or something of that sort is 15-20 miles away. If you’ve ever been to Duck, West Virginia (Yes, Duck. )… I’m sure you’re familiar with Nottingham’s store, off of Route 4. I took a ton of photos of Llamas, self-made town signs, and rope bridges to get to their home. Most of these pictures were taken with a disposable camera that I got from an Amgen Tour advertiser and decided to use it while I could still get it developed. The next day, we took the dogs out to the meeting point of the Elk River and Birch River, hiking around on the girlfriends cattle trails and tractor paths. Her dog was very excited, ran around in one of the really shallow areas, and we climbed a small waterfall and decided to take some pictures. She was ready to roam the whole farm! I wanted to take some *film* photographs from the ledge! While hiking isn’t my forte, and I don’t think I could do it on a day-to-day basis… It was fun romping around and exploring land that I’ve never ventured on before. The refreshing part of this non-cycling excursion was just enjoying this weather! Even the worst rides have great opportunites for taking pics. For exaple, today’s ride ended up taking me on trails (or lackthereof) that were so rutted out, there were creeks, craters, mud bogs, or rock gardens, luckily, the elevation of an average 8% (felt more like 20% up or down) allowed for some pretty sweet downhills after the steep hike-a-bikes. I went exploring at our local airport, hearing there was a trail around it…. FAIL. 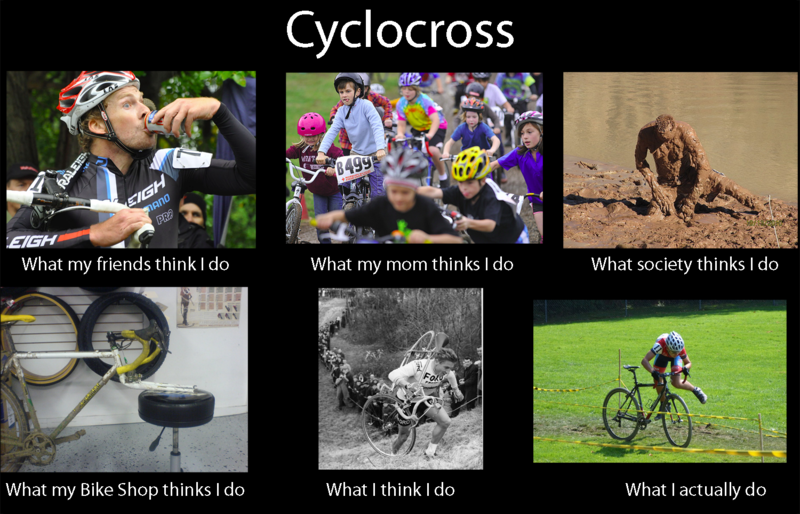 There was nothing but tall grass that went over my handlebars. I really wish I would have gone on a road ride with my buddies, but every once in a while, it never hurts to try to break new ground, no? Habitat for Humanity is sponsoring the WV RAVE (Ridge and Valley Excursion Bike Tour) on Saturday, June 4, beginning at 8:00 a.m. at Camp Caesar, near Cowen. Habitat for Humanity of Nicholas and Webster Counties will host this bike tour along the scenic Williams River and through the Monongahela National Forest with astounding views and breathtaking climbs! Three routes are offered, so everyone from beginners to avid cyclists will want to participate. This is the third annual edition of the tour, with the previous two being significantly helpful in bringing help to local families. June 4, 2011 at 8am. All cyclists start from Camp Caesar parking lot. Take I-79 to Exit 57 (Summersville, Beckley) and follow Rt. 19 South for 10.5 miles. Turn left onto Rt. 82 at Brich River. At the end of Rt. 82, turn left onto Rt. 20. Camp Caesar is 5 miles on the left. All cyclists begin and end at the camp. Endurance Ride (50 miles) A mostly flat route that runs to Tea Creek Campground and back. Ridge Riders (75 miles) Includes a 4 mile climb and 8 mile descent on the Highland Scenic Highway (Rt. 150). Top of the World Century Ride (100 miles) Route includes a 5-mile climb and 5 or 6 other challenging, but shorter, climbs on the Highland Scenic Highway. Will go into Marlinton and return on Williams River Road. Courses will be well marked for directions and hazards! $50 – Price includes 2 nights (Fri. and Sat.) lodging at Camp Caesar 4-H Camp, Friday evening meal, and light breakfast Saturday morning in the Camp Cafeteria. 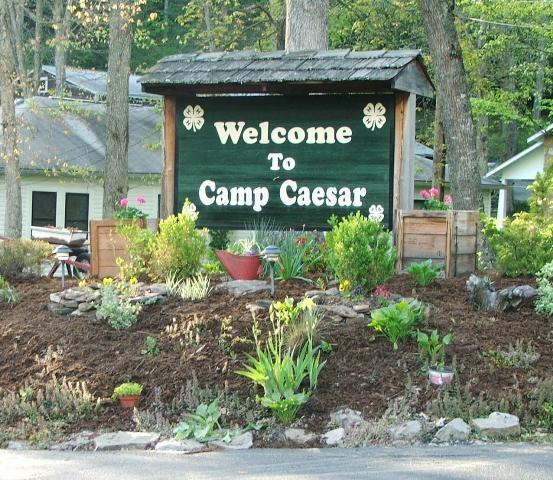 For lodging package, call Betsy Morris, Camp Caesar Director at (304) 226-3888 or e-mail campcaesar@frontiernet.net. Bike clubs or groups may choose to rent a cabin for their entire group. Late registrations (after 5/14) will pay $9 for dinner and $7 for breakfast. Mineral Springs Motel-Webster Springs (304) 847-5305, plus more motels and hotels are available in Summersville, approximately 45 min. away. For information on campsites available in area and cost per night contact the Forest Service of Richwood (304)653-4825 and Marlinton (304)799-7364. June 3, 2011: 5-7 pm registration and packet pickup at Camp Caesar, Burton Hall. Cost of ride is $50. Will take registrations day of ride, but cannot guarantee you will make the starting time. Packets can be picked up Friday evening from 5-7pm at Burton Hall at Camp Caesar and will include map of chosen course. Ride packets will not be mailed. Cookout-style dinner upon returning to Camp Caesar after ride. The cost of the Saturday dinner is included in the $50 registration fee. I’ve been wanting to do this ride for quite a while, but things always tend to pop up in the way of me. Luckily I have been well prepared, and registered way early. We have a gang of people from Buckhannon going, and William Given is meeting up with me for the ride. Pretty pumped. I haven’t done a 100 mile ride since June of last year, so I’m also a touch bit nervous. I hope to see some of you guys there!